- A CNC ROTARY TABLE PHV-1600 with 15 Tn. load capacity and HORIZONTAL and VERTICAL layout. - A CNC ROTARY TABLE PH-1000 Ø 1200 with 8,000 Tn. load capacity and for integration into the MILLING MACHINE. - A DIRECT DRIVE TABLE for RECTIFYING applications. 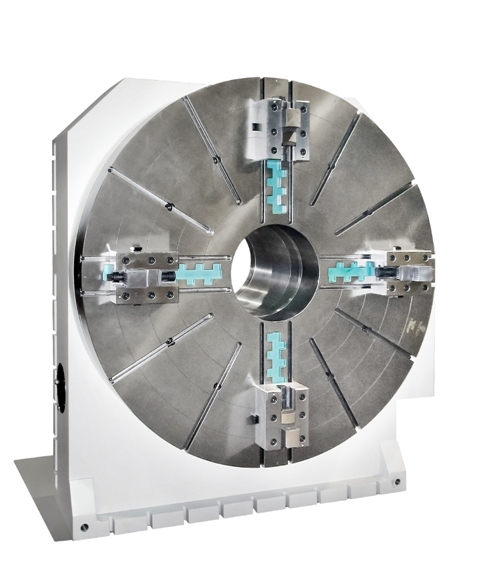 In the TURNKEY SOLUTIONS sections, it presents several examples of turnkey solutions, combining its extensive experience in FLEXIBLE TRANSFER MACHINES. The new TURRET TRII-H6 is exhibited as a novelty in this section.